Shy in her relations with the public, Enid Blyton revealed little of her private life. She was born in the late 1890s and was brought up in Buckingham. Her father hoped she might become a concert pianist, but despite her talent for music, she made the decision to be a children’s writer. She took Froebel training and became a governess to a family of boys in Surrey and this experience encouraged her to set up a school for boys. In her spare time, she began writing a variety of children’s stories. 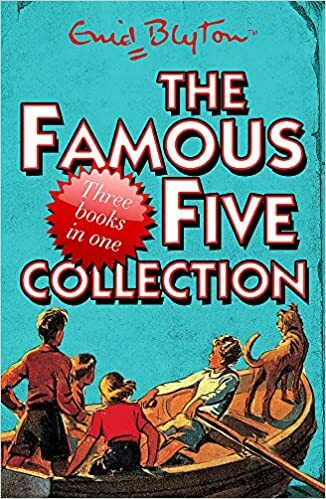 These ranged from natural botany books, biblical stories, a simplified version of Pilgrim’s Promise, to the Famous Five series and the ubiquitous Noddy and Big Ears stories. In 1924, she married her first husband – H.A.Pollock with whom she had two daughters. She married her second husband Kenneth Waters in 1943. Her books were controversial amongst literary critics and librarians. Her writings were often not seen as ‘great literature’ Some found the likes of Big Ears and Noddy just too childish (poor Noddy would frequently burst into tears at any sign of trouble in Toytown). For a considerable period, certain libraries would refuse to stock Enid Blyton’s books – despite strong demand from children themselves. In recent decades, the books have also been criticised for racist, sexist and xenophobic stereotypes. The books tended to follow predictable plotlines which reflected Blyton’s perspective on morality and right behaviour. She said her books reflected her way of looking at the world. Yet, whilst the works of Enid Blyton might not have touched the heights of literature – and may compare unfavourably to the more ‘adult’ success of J.K.Rowling, her books were undoubtedly very popular amongst her core audience and did help a generation of children become interested in reading. Citation: Pettinger, Tejvan. 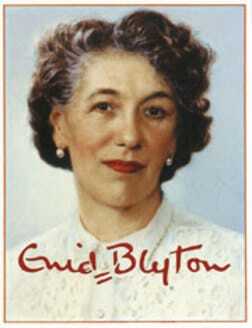 “Biography Enid Blyton”, Oxford, UK. www.biographyonline.net Published 3 Feb 2011. Last updated 15 February 2018.